High Quality Content by WIKIPEDIA articles! 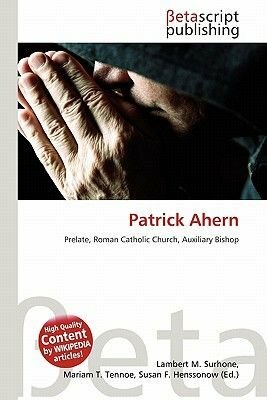 Patrick Vincent Ahern (born March 8, 1919) is an American prelate of the Roman Catholic Church. He served as an auxiliary bishop of the Archdiocese of New York from 1970 to 1994.On February 3, 1970, Ahern was appointed Auxiliary Bishop of New York and Titular Bishop of Naiera by Pope Paul VI. He received his episcopal consecration on the following March 19 from Cardinal Terence Cooke, with Archbishop John Joseph Maguire and Bishop Edwin Broderick serving as co-consecrators, at St. Patrick's Cathedral. As an auxiliary bishop, he continued to serve at Our Lady of Angels Church and was also episcopal vicar for the Bronx.